After divorce and I have primary custody if I get married to someo me who lives out of state am I allowed to move. Or shall I say will court grant that? Hi Marlana, you could move out of state with either the permission of the child’s father, or with the permission of the judge. You can call us for a free consultation if you want to move forward with that: 702 420 7052. Hello Marlana, even with primary custody, you will need either your spouse’s, or the judge’s, permission to move your children out of state. My spouse and I have recently divorced. My spouse remarried very quickly after the divorce to someone prior to moving out of the home and want’s to take a minor child to another state where her new husband lives. I filed a motion to prevent her from taking my child so far away which I feel would prevent me from being able to visit. What happens from here? after divorcing, your spouse can only take your child out of state to live if you agree, or if the judge signs an order that she can do so. I currently reside in Nevada. I have two children, ages 2yrs. and 12 yrs. My husband is verbally and mentally abusive. He has been physically abusive in the past but I never called the cops. I need to know. 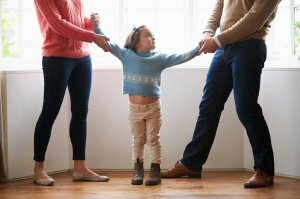 Can I leave the state of Nevada and then file for divorce with my children? He has verbally told me that I just need to take the kids and go. I know that if I ask him to write it that he will not, because then he will know that I am leaving. He has also told me that if I did take the kids and go that I would not make it to the vehicle because he would shoot me in the back. I cannot stay in this situation any longer, nor should my children stay in this situation, it is not healthy. I have friends and family in Ohio that are willing to help me. I just need to know what I can legally do in my situation. I hesitate to ask for help because I don’t want anything to happen to me or my children because I have asked for help. Thank you in advance for your advice. First and foremost, I want to tell you that you should go to a shelter. They in turn will refer you to Legal Aid for Nevada advice. As far as leaving the state with the children you have with your spouse, know that you have to have written permission from your spouse, or an order from a judge. Even though you are not going through a divorce yet, you have that intent, and a judge here won’t allow it without good reason. And you might well have that good reason if you are moving to get help from family and to remove yourself from an abusive situation. Alternatively, talk to a lawyer in Ohio and ask if the Court there would take emergency jurisdiction. I wish you luck with resolving this situation. My married son is a resident of Las Vegas. He has a wife and 6 year old son. She is threatening to leave the state and move back with her parents with their son to Virginia. No divorce proceedings have begun. Can she do this without my son’s permission? she can take her son to visit her family unless there is a decree of divorce that says otherwise. That said, if your son files a divorce, he can possibly get the court to order that his son be brought back to Nevada. Children cannot be taken out of state without either the other parent’s permission, or a court order. The judge is the one to decide what is best for the child in the event of a custody battle. What about weekend visiting out of state? I’m in Vegas and recently divorced and have “Primary” custody; whatever that means. The divorce and custody decree are very vague. Am I allowed to travel from Vegas to Arizona for weekend visits with family without her consent or the consent of the court or will I get in trouble? She has specifically said I cannot but this is only to harass me and the decree is so vague that I don’t know what I can or cannot do. Thanks! Hello Brian, Unless your final decree of divorce specifically states that you need consent or have to give notice for out-of-state visits, it is acceptable to take your children for short trips to visit family in other states, or for short vacations, w/o the written permission of their other parent. If your final decree does say that you must have consent and must give notice, then do what the decree says. Primary custody means the children live with you full time and only visit with their other parent. Unfortunately not; if Nevada is the legal residence of your children, you’ll need either the father’s permission, or the court’s permission, to move them out of state.